Once we got to Florida, we wanted to see the beach, and Clearwater Beach was close at hand. Broad stretches of white sand, turquoise water and beachfront restaurants are the order of the day here. There are excellent fine dining establishments all around this area, but we left the heels and tie behind months ago! So, flip flops and tee shirts were about as dressed up as we planned to be for this trip. We were not disappointed with the seafood selection at the local spots. Traffic and crowds are part of the scenery so adjust your schedule accordingly and just enjoy the view. We followed I-75 and picked up I-275 in Tampa, headed north on highway 289, then west on highway 60. Highway 60 crosses Tampa Bay and Clearwater Bay on the way to Clearwater Beach. Beautiful water views on both bridges, and once you cross over to Clearwater Beach you can see the Marine Aquarium in the distance on the right. A great stop on the occasional rainy day. Lazy Days RV Resort, Tampa - a great stop! Although there are RV parks in the area, we chose to stay at Lazy Days RV Park in Tampa (actually Seffner, FL) so that we could check out the new RV models in their sales area. They offer paved, level sites equipped with cable TV, electricity, water and sewer hook ups. They also have a nice restaurant named "Exit 10", a pool and work out facility in the front of the park. Handy to the maintenance area but still nice enough to enjoy camping. Just a hop, skip and jump over the bay from Tampa, is beautiful Clearwater Beach. The traffic getting over the bridge can be daunting so choose your crossing time thoughtfully. Once there, the area is alive with entertainment, restaurants, shopping and hotels all along the peninsula. Parking can be a problem in high season, but near the beach we found on-street spaces specifically for RVs. We suggest going early in the morning to scope it out. Once there, plan on lunch or dinner at Frenchy's Rockaway Grill. It is a tourist icon right on the beach but the food is good and you can have an easy stroll on the beach after dinner! 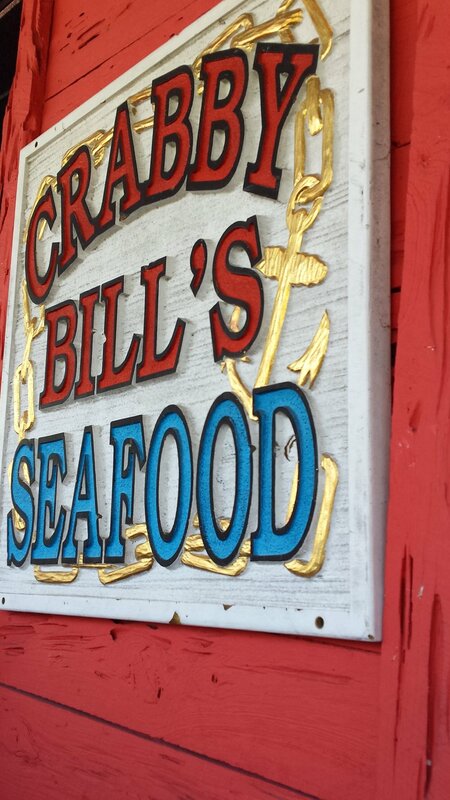 Another great seafood stop is Crabby Bill's - just over the bridge on the causeway. They have a second location on the beach just a few minutes south of the bridge location if you want something nearer the sand and surf. Both are pretty laid back experiences with great food. The Palm Pavillion offer seating on the back porch overlooking the beach. Food is good, and the bar featured live entertainment when we were visiting. Great place to while away and hour or two.